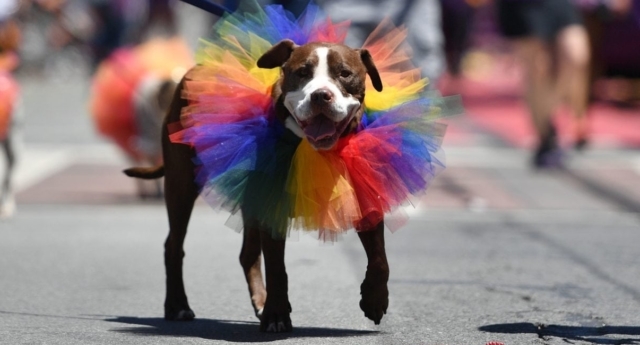 Data released ahead of Pride in London show more Brits are concerned about animal rights than they are rights for LGBT people. Just three percent of straight and cisgender people picked ‘Tolerance for individuals of different sexualities/gender identities’ as one of the most important, behind ‘animal rights’ on 7 percent. Meanwhile just two percent of straight cisgender people picked ‘gender equality’ as a top issue. A parallel survey of LGBT respondents generated significantly different results. Among LGBT people, 44 percent said that LGBT equality remains a top concern, and 22 percent said gender equality. The surveys otherwise found that the concerns of LGBT people largely align with the general public, with the NHS and Brexit near the top of the list for both groups. LGBT people were less likely to have concerns about immigration and terrorism. Data also published in Pride in London’s Pride Matters report revealed that while 84 percent of LGBT+ respondents said it is harder for them to be their true selves compared to straight cisgender people, just 40 percent of straight cisgender people agreed. Elsewhere, data showed that many LGBT people are still in the closet. Of those that answered, 12 percent of gay men,17 percent of lesbians, and a staggering 46 percent of bisexual people said they are not out to their family. Bisexual people and lesbians are also less likely to be out at work, with just 56 percent and 74 percent out respectively, compared to 86 percent for gay men. Sadiq Khan, Mayor of London, said: “We’ve come a long way in the fight for LGBT+ equality, which is something we should celebrate. But we can’t be complacent. Far too many people in our city are still facing discrimination and prejudice because of their sexuality or identity.